The beauty of the world around us is stamped with God's imprint. The mountains, forests, oceans, and skies display the power and majesty of the one who made them and inspire worship. Nine full-color art pages feature a quote or Scripture that highlights God revealed in nature. 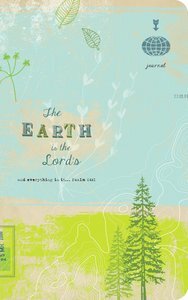 About "Backpack Journal: The Earth is the Lord's and Everything in It"